Your message has been sent to Sandeep Kumar . Like authorSTREAM? Give us a +1! 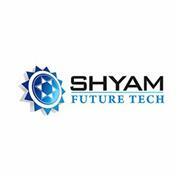 Shyam FutureTech is a well-known and established web design and development company ensuring tremendous growth across all industries globally.